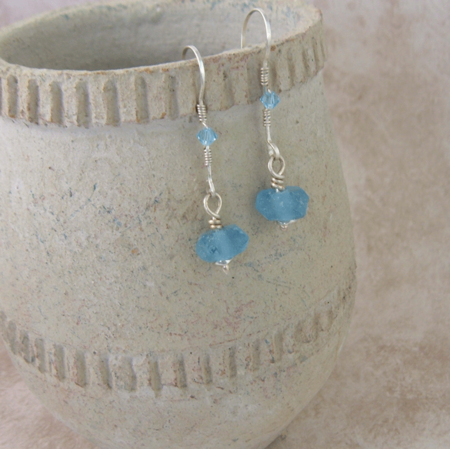 Summer time blue beach glass earrings with a little sparkle. 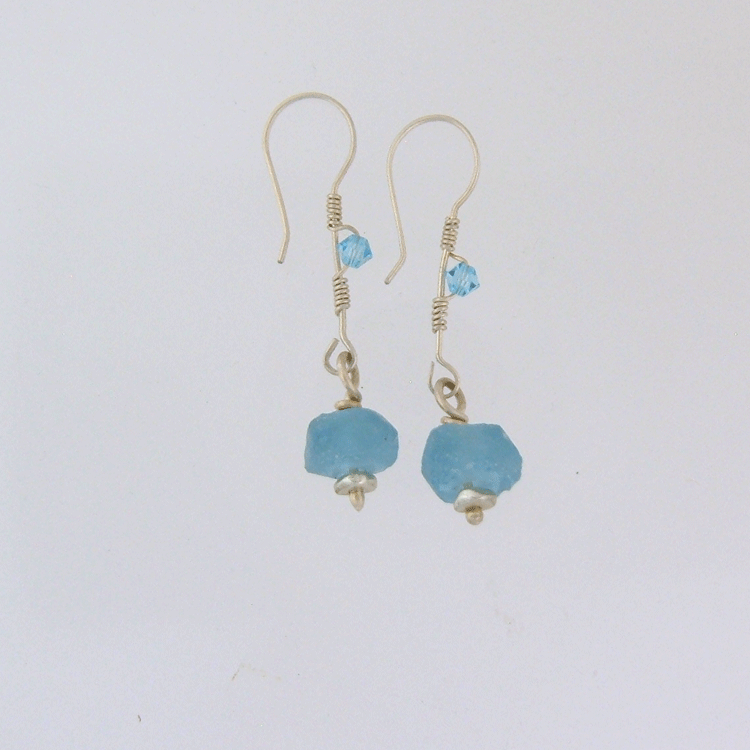 Beach glass in the perfect blue color matching the ocean waters. A perfect evening, palm trees softly waving in the breeze, torch lights reflecting off the shore. A little unexpected sparkle from Swarovski crystals dancing in the moonlight. Of course you�re wearing these light, comfy earring with that perfect outfit. When winter comes image these same earrings worn with a white fluffy soft sweater in front of a fireplace�on I can go on and on. Just get them, you need them just because.